She Planned Her Own Funeral. But Did She Arrange Her Murder? This was a little “take-it-or-leave-it” for our group unfortunately. There were some interesting characters and the behind-the-scenes insight into how a detective works seemed like a good idea. However, we found it very slow to start with, and the author being part of the story was too distracting for some of our readers. It did keep us guessing till the end with a great twist revealing who the murderer was that pulled us all back in a little. 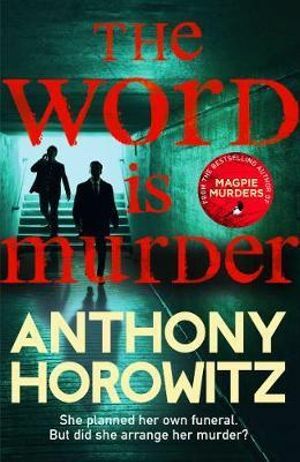 This entry was posted in Book Club Kits, Book Reviews, Fiction, Mystery & Crime and tagged Anthony Horowitz, book kit, the word is murder by Jody. Bookmark the permalink.